Most, if not all, of us have some type of psychic ability. This is normally disguised in the form of intuition or a gut feeling. We might meet someone and feel like the person is not to be trusted. We may observe certain mannerisms or other visual clues, or we may just have a feeling that tells us something is off. This feeling is a glimpse into what is known as clairsentient psychic ability. 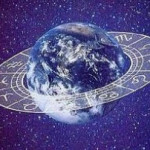 Unlike the rest of us who may have fleeting intuitions, true clairsentient psychics are deeply in tune with forces that allow them to actually sense energies and auras, and even feel specific emotions related to a person, place or thing. 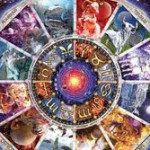 The ability comes to them naturally and manifests itself in different ways for different psychics. Some feel vibrations that signal your mood while others need to touch you or a specific object to pick up on the energy given off. Still others have spiritual guides that given them specific sense impressions. Clairsentient psychics can often pinpoint your exact emotional state, whether itâs excitement, sadness, stress or anger. They can sense and feel energy, whether from another person or a particular place. For example, if you go to a clairsentient psychic for a reading relating to your grandfather, the psychic may pick up your feelings of discomfort or guilt, suggesting you may have unresolved issues with him that you need to work out. 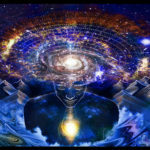 The psychic can tap into your deep-rooted emotions that you yourself may not even be aware of. There may be feelings you have suppressed for years, things youâve been holding back that may be affecting your current situation or, more broadly, your overall emotional state. A clairsentient can bring hidden feelings to the surface, allowing you to face them and, ultimately, resolve them in a healthy and productive manner. In this way, a clairsentient can be extremely beneficial to a personâs emotional health and well-being. Some clairsentients can be so intuitive that they actually feel the emotions you yourself are feeling. They may suddenly feel sad, uncomfortable, angry or stressed. In fact, some such psychics are so in touch with others that they have trouble distinguishing their own feelings from those around them. Some clairsentients may even experience headaches, pain in various body parts or otherwise feel sick, which means they can pick up on any physical ailments you might be suffering from in addition to tapping into your emotional state. Sometimes clairsentients are used by professional organizations such as police departments. They may be helpful at crime scenes due to their heightened psychic ability. They are often used in investigations related to hauntings. They can walk into a house and tell if there has been an argument, a physical fight, or even if there is a secret there yet uncovered. 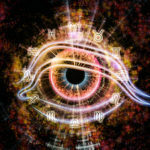 A clairsentient psychic can get a sense impression of events that have occurred in the past from the energies that remain and are connected to the property, the house, or specific items within the house. For example, the psychic may be struck by an overwhelming sense of loss or despair in a home that has a long history of illness or people dying on the premises. In some cases, clairsentient psychics pick up scents associated with a person or a place. They may smell smoke in a place that was previously burned by fire, or flowers in a place where a garden once stood. Scents can relate to individuals, as well, so that the psychic may pick up the smell of perfume or cologne once worn by a previous occupant or owner. Some clairsentient psychics have spiritual guides or angels during readings that help them understand people or events. This is often the case with clairsentients who can feel physical sensations, such as goosebumps. Through spiritual guides, they may be able to sense what the temperature was and whether there was dampness or moisture in the air on a specific day during a specific event. They may feel as if someone is tapping their shoulders or blowing on their skin, perhaps signifying raindrops or a breeze. As mentioned, individual clairsentients channel their gift in different ways. Some may smell flowers or feel a shoulder tap while others get headaches or double over in pain. However it manifests, this powerful, unique and versatile gift can have a very positive influence. Not only can it offer insight, relief and emotional healing to individuals, but it can be of valuable assistance to police in criminal investigations and to organizations investigating hauntings. 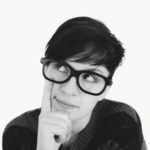 Psychic Intuition: Are You A Psychic? Ask Yourself These Questions. 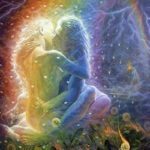 What Is The Difference Between A Soul Mate and a Twin Flame?